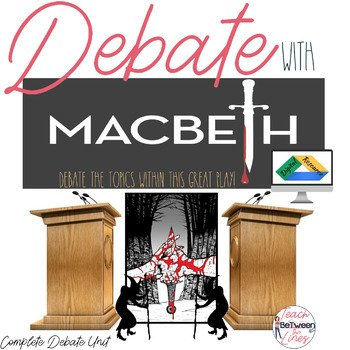 Macbeth: DEBATE-Lessons, Practice, Graphic Organizers- Digital and Printable! Macbeth Unit Bundle-Lessons, Assessments, Interactive Notebook, and more! 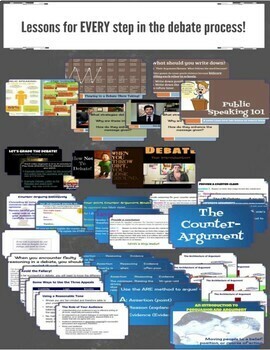 for crafting an argument specifically for debate. skills necessary for successful public speaking. Your students will be able to take notes on all of these lessons inside of their Google Interactive Notebook. Students will also be able to prepare for their debate with specific graphic organizers for each step of the preparation process. 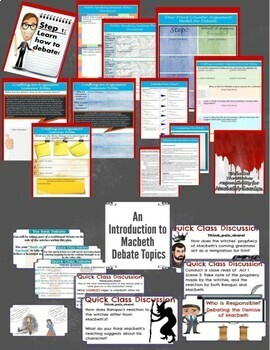 They will also be able to craft their arguments and counter-arguments inside of this digital document with helpful graphic organizers. Additionally, they will be able to self-reflect on their preparation, their group’s preparation and arguments, and the quality of their own arguments. Rubric is included inside of this document for further self-assessment. A complete debate scoring guide is included so a ‘winner’ can be determined post-debate. 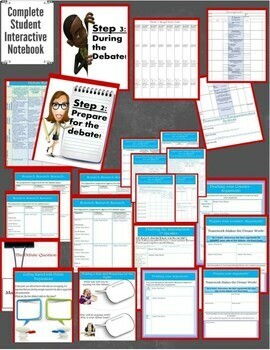 A complete rubric is included for assessing the quality of each student’s debate skills. PowerPoint, Word, and PDF versions are included for every document. This unit will be easy to print and teach as well! Follow my store by clicking on the link at the top of the page for updates, announcements, and fun freebies! You can also find me on Pinterest, and Facebook! Theme Analysis in Shakespeare's A Midsummer Night's Dream. Literary Analysis with Shakespeare's A Midsummer Night's Dream. Save money and get four additional lessons with: A Midsummer Night's Dream Unit Bundle!! A Midsummer Night's Dream Complete Unit BUNDLE!